What made you click on the link to come to this page? Curiosity? Maybe. Quite possibly, your Guardian Angel 'nudged' you. Do you feel as though you are at a crossroads in your life? Maybe your Guardian Angel knows that you are ready to 'dip' your toes into the water, cross the stream and become the amazing 'Being of Light' you were born to be! From the moment you drew your first breath your Guardian Angel was there, beside you. Your Guardian Angel may have been through many other lifetimes with you, always trying to guide you in your life's journey. We are all on our own journey, but your Angel is always by your side, trying to guide you to have a happy, meaningful life. Most of us never acknowledge these beautiful beings, we aren't even aware of their presence. Although, I believe we 'sense' something at different times in our lives - particularly when we are troubled, upset or feel despair. There is a presence that reaches out to us with unconditional love and sometimes we 'allow' them to turn us around and help get us back on track. Maybe that's why you have reached the Angels of Joy family? Let us help you on your journey through life. Enjoy this site and contact us if you would like any further information. 4th November - Ascension Workshop - BOOK HERE. Click below to pay for the workshop in full. 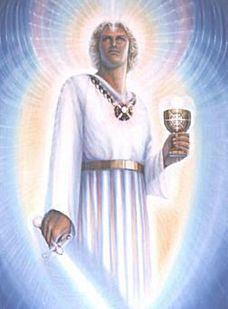 © 2005 Angels of Joy/Spiritual Links All Rights Reserved.